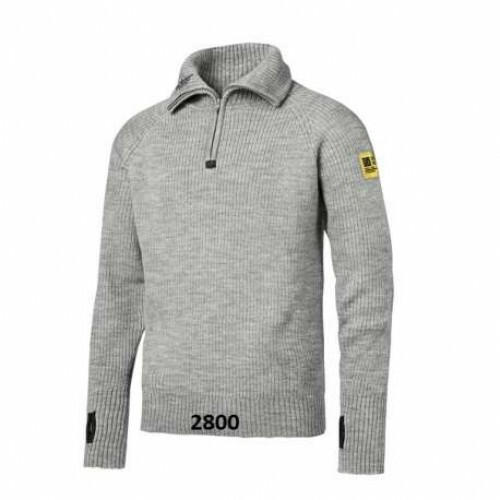 For a truly warm and cosy second layer, wear this soft yet reinforced 1/2-zipped knitted wool sweater. Highly moisture-absorbing and breathable for pure natural wool comfort. Resists odour naturally and can be worn for long periods without washing. Absorbs moisture and warms even when damp. Polyamide reinforced elbows and lower arms for enhanced durability. Material: All natural wool. 100% Polyamide, 190 g/m² reinforcements.